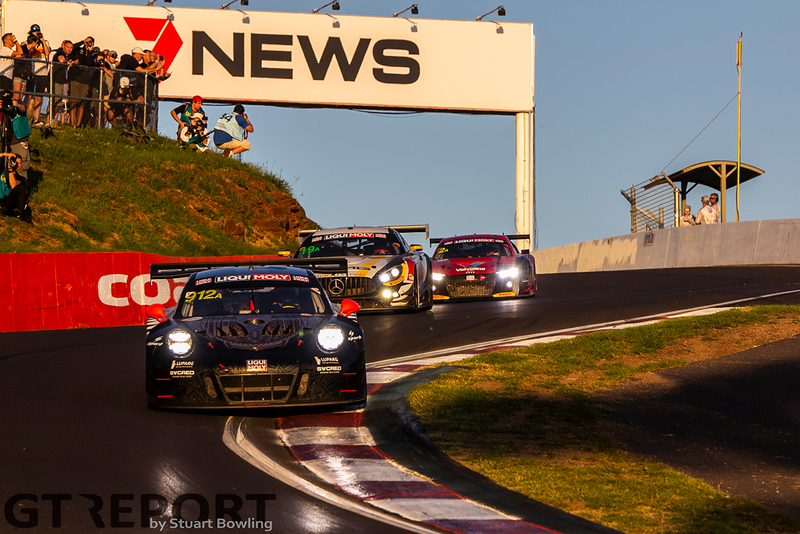 With a daring move down the inside at the tight Elbow corner, Matt Campbell took the lead of the Bathurst 12 Hour and raced off to the chequered flag to bring home victory for the number 912 Earl Bamber Motorsport Porsche 991 GT3R. 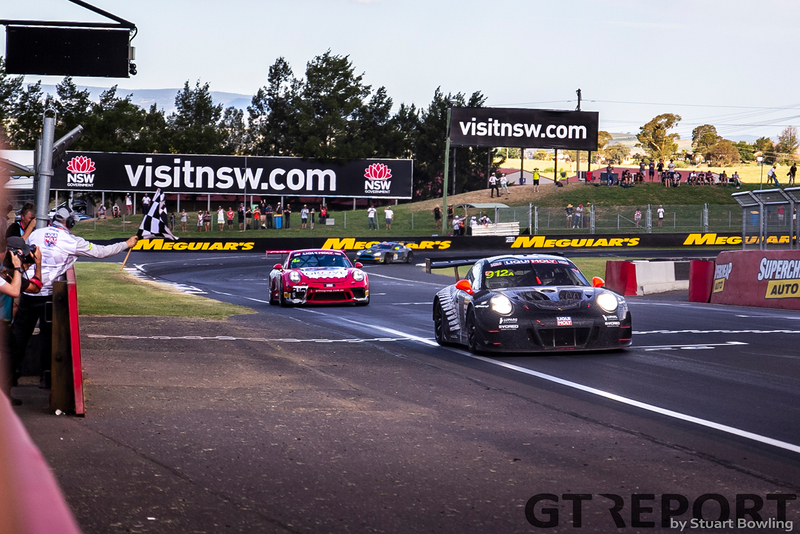 The young Australian made maximum use of his new tyres in the long, final stint that saw him go head to head with six contenders all equally hellbent on winning the race. 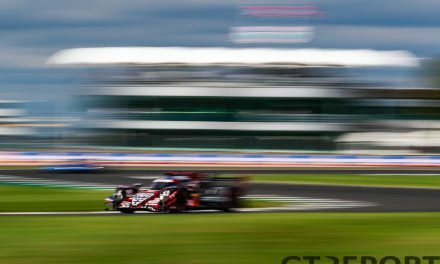 “It was an absolutely phenomenal race and the car was perfect towards the end,” Matt Campbell says. “We sort of struggled a little bit in the middle of the race in the heat, but it really came to us and that was definitely our plan. 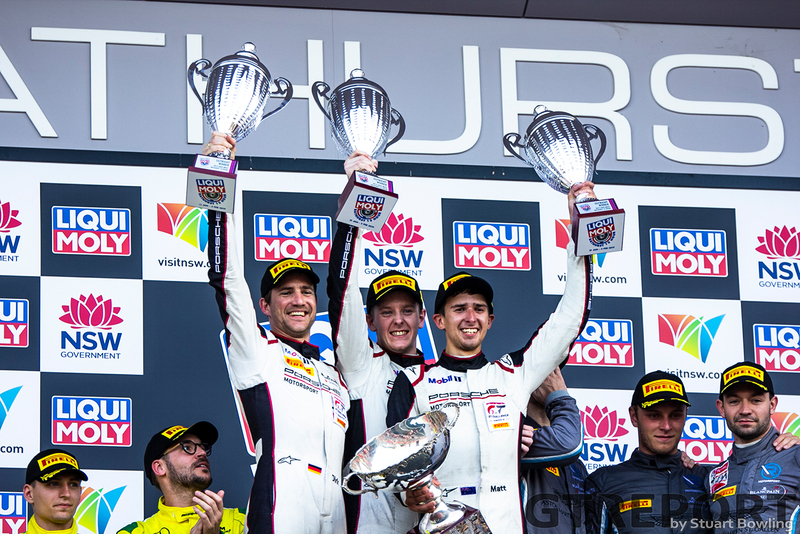 “I can’t thank these two enough,” referring to co-drivers Dirk Werner and Dennis Olsen. 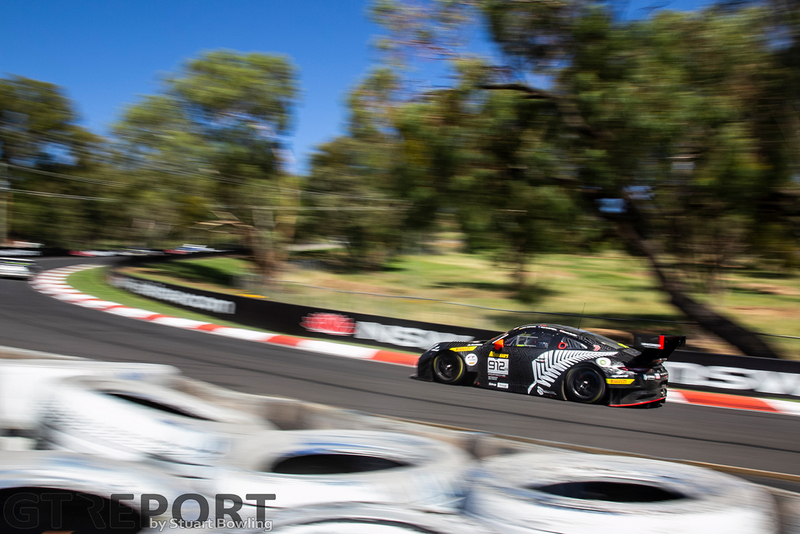 Both All Black Porsches came to the fore in the second half of the race, leading the race at several intervals while different strategies were playing out. Although the number 911 sister car dropped out of contention with the end in sight, the other Kiwi car fought on. A longer final pitstop, however, threw the number 912 Porsche back behind the other frontrunners. Unfazed by the unexpected change in tyre strategy by its competitors, the team had one more trick up his sleeve: New tyres. 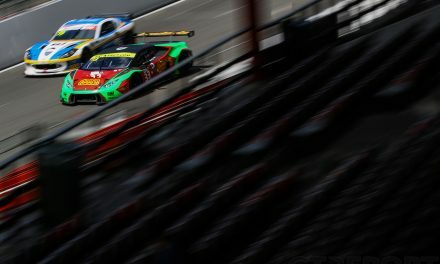 Half an hour before the end, Campbell got past the skillfully defending Chaz Mostert in the BMW Team Schnitzer M6 GT3 with a forceful maneuver into The Chase. “He certainly wasn’t making my life easy, moving over a little bit under braking and everything like that. But I saw my opportunity. Their cars were quick in a straight line and I really had to maximise my exit and seize my chance. There wasn’t going to be many opportunities left after that, I was using too much tyre and the engine was getting quite hot following him. It was then and there. A safety car period followed, bringing the lead group back together. This played into the hands of Campbell, being the only frontrunner on fresh Pirelli rubber. 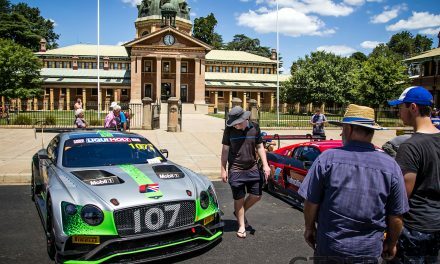 Having taken care of Raffaele Marciello in the bright yellow GruppeM Mercedes-AMG GT3, the 23-year-old from Queensland set his sights on the number 62 R-Motorsport Aston Martin Vantage GT3 of Jake Dennis for the win. “I was really trying to find my time. 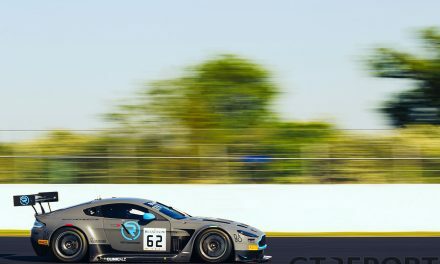 The Aston Martins have been very competitive all weekend and I knew that was probably going to be my only passing opportunity. I had to seize it then and there, otherwise I think we would’ve struggled a bit over the top with the aero wash.
“I took my time, put it down the inside and there was just enough room.